My kids are not normally early morning get up and go kids. Most morning they both come and climb into my bed for a cuddle and chat before we venture downstairs. However this morning my little boy burst through the bedroom door rearing to go. He was so excited “come quick let’s go and look at the trays that you where making last night.” And off he went rushing down to the lounge. Yep he was excited !! 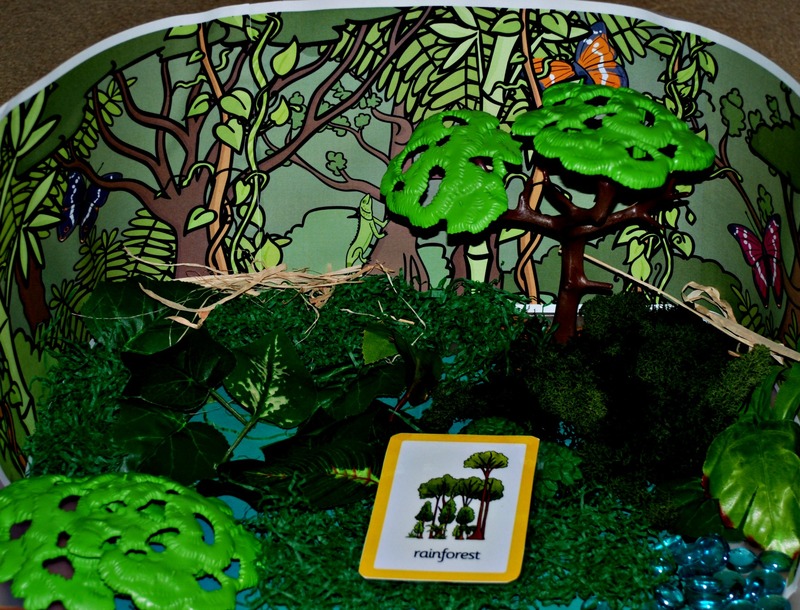 The reason – last night while the kids where winding down for bedtime I started making them some habitat trays. I have been wanting to do these for a while as my son has been talking a lot lately about how different animals like different places to live. 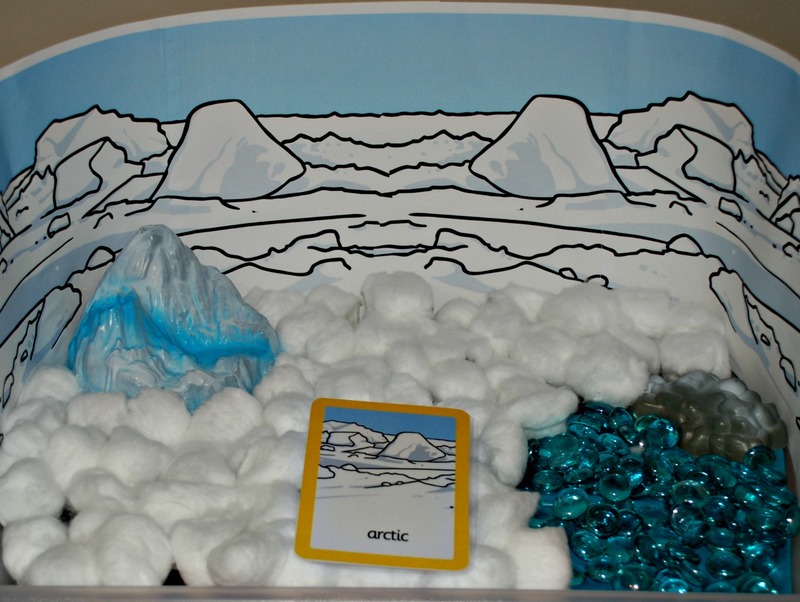 The habitat cards I downloaded from Twinkl (platinum), the trays are all made using goodies I have already used in the past for sensory bins or items from the art and craft cupboards. 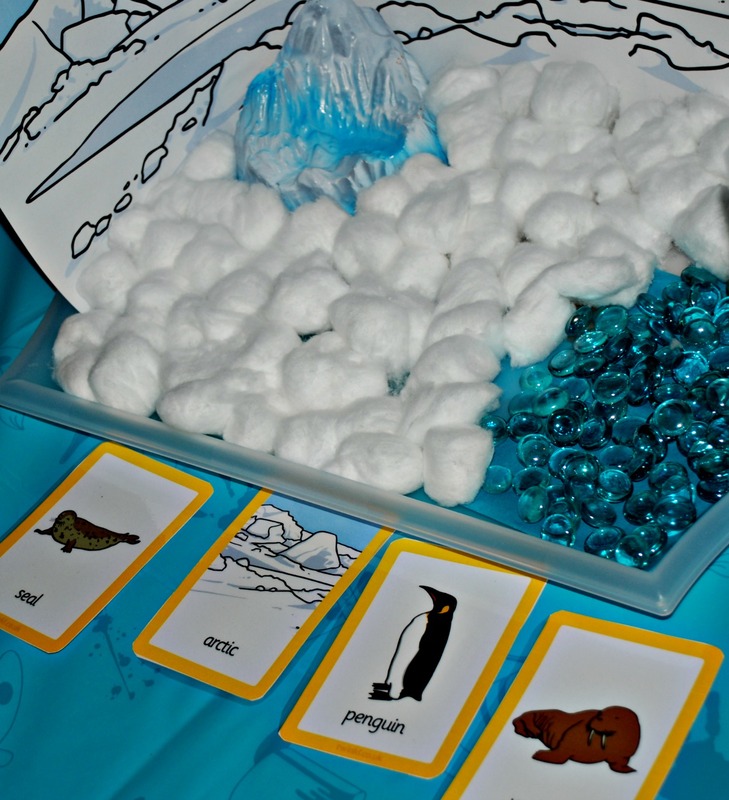 Arctic tray – mainly cotton wool, some blue glass beads and some play arctic rocks which we already had. Link for the Arctic small world background (gold on Twinkl). 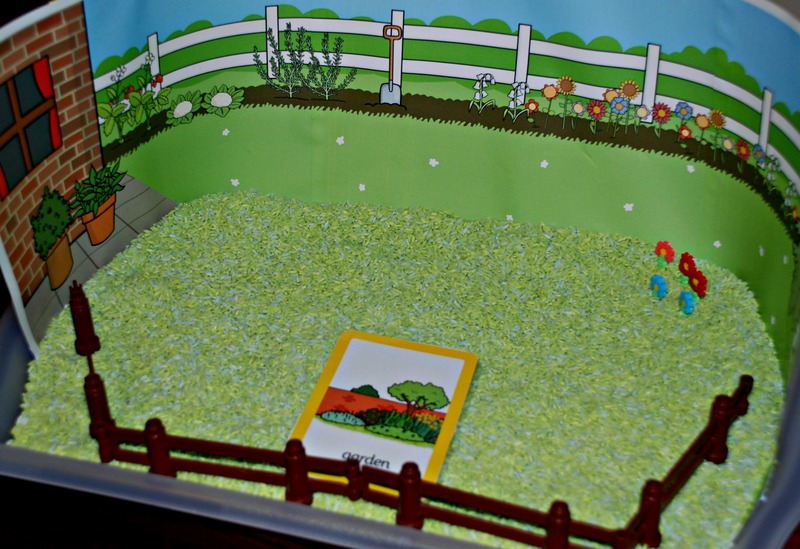 Garden tray – the grass is rice which I dyed green with some food colouring. The flowers are Hama bead flowers that my daughter made a few months ago and the fence is from a Lego set. Link for garden small world background (gold on Twinkl). Woodland tray – green card on the bottom, some green glass beads and bits of bark and twigs (all of which I picked up at our local garden center a few months ago). 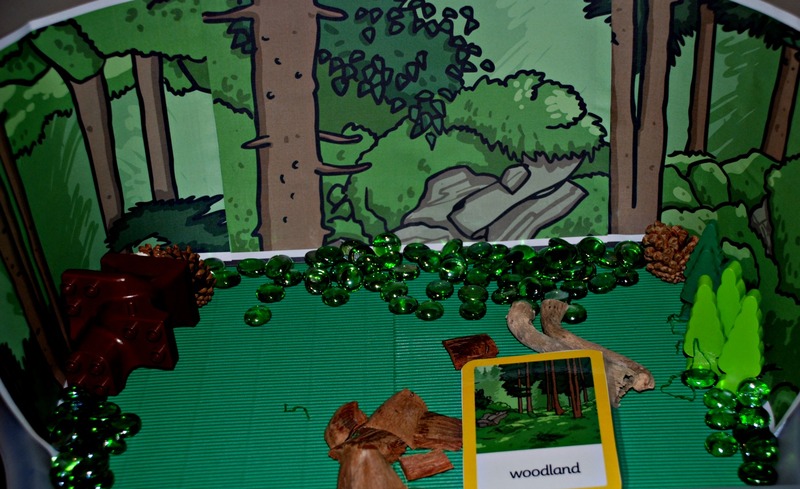 Also some acorns and some wooden trees from my sons train set. For the woodland background we used the Owl small world background which we had already printed out to use with a different project. 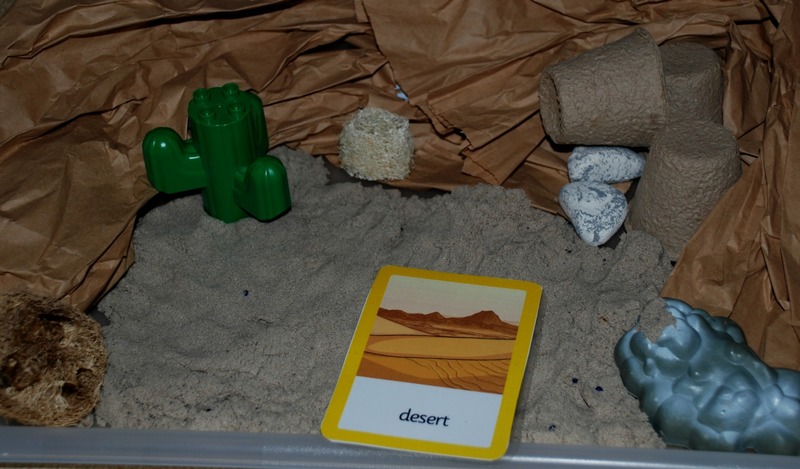 Our desert tray – the hills are brown packing paper (from our latest amazon delivery – we love using our amazon boxes and the brown packing paper that they use for art projects). Our sand is kinetic sand, you could use normal play sand but that can get very messy if the trays are on the lounge like ours are. Our cactus is from a Lego play set we have. I also added some small fibre pots that we bought to grow some seedlings in (these fibre pots have been a huge hit with my kids in their imaginative play). Rainforest tray – green shredded paper, some fake leaves that we bought a while back for an art project, some moss (from our local garden center), toy tree and some blue glass beads. 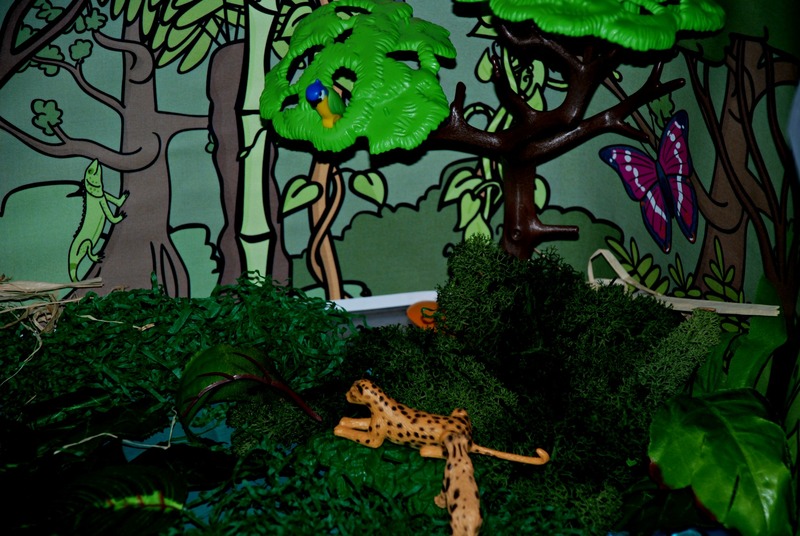 Link for the rainforest small world background (gold on Twinkl). 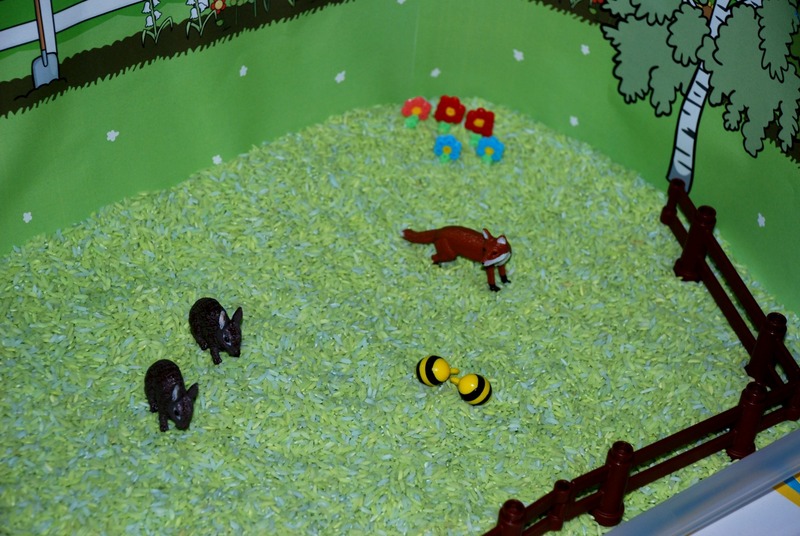 And no big surprise they soon started adding their own toy animals to the trays. 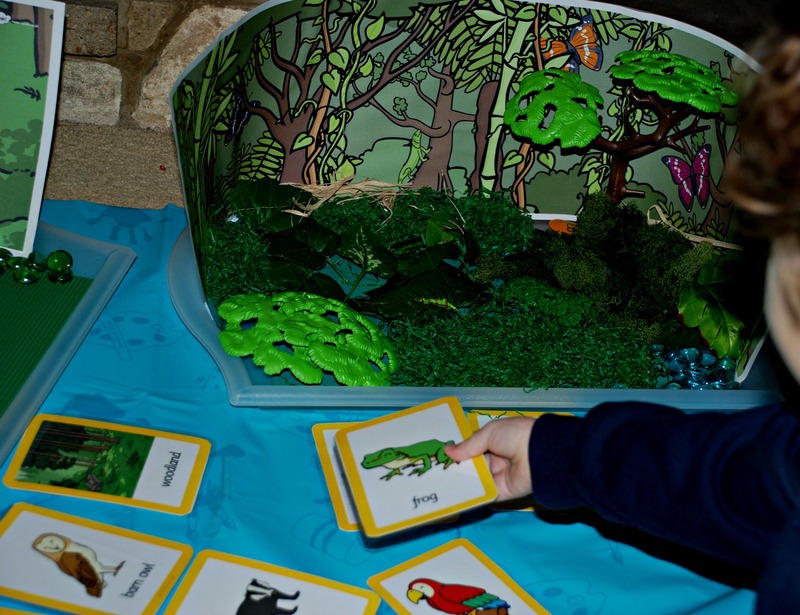 This entry was posted in foundation stage, Homeschooling, Science Ideas, sensory play and tagged animal habitats, habitat trays, home ed, homeschooling, sensory bins, sensory play, Twinkl. Bookmark the permalink. 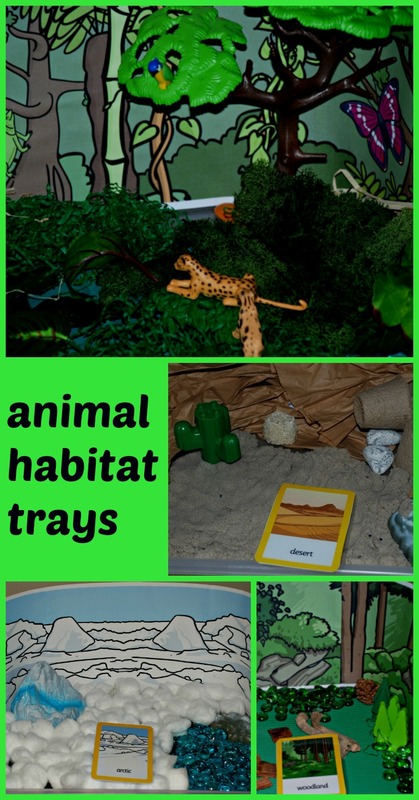 These habitat trays are so cool!